Best Quotes Heating and Plumbing are Gas Safe registered heating engineers who undertake installations of gas boilers, oil boilers and LPG boilers. For similar replacement boiler companies in this area please visit the Reading boiler page. 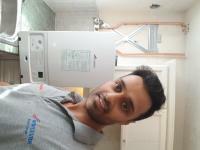 Local Worcester Bosch boiler installer. I offer fast, friendly advice.